How to Create a Lasting Power of Attorney in the U.K. If you were ever incapacitated, and unable to speak for yourself, you need somebody to take care of things for you. The problem is, that you cannot appoint that person once you are incapacitated. You have to do this ahead of time, and then that appointment will come into effect if you were ever to find yourself in that position. The document you would create is called a Power of Attorney. Within this document you will appoint an "attorney" who will act as your representative in the event that you lose capacity. Many Power of Attorney documents are created and never used. 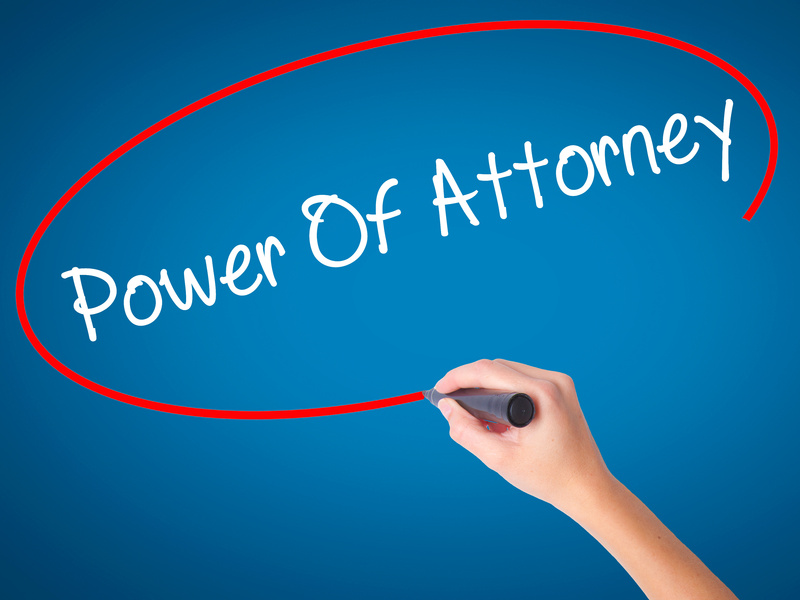 Most people who create a Power of Attorney do so in case they were ever in a situation where they were unable to speak for themselves. This can happen suddenly, after a road accident, or sudden illness. Or it can happen gradually, if you were to suffer from a degenerative illness like dementia or Alzheimer's. If you never experience this type of your situation, your Power of Attorney will simply stay in your drawer, and never be used. However, if you are unable to handle your own decision making, then the document is invaluable. It must be created whilst you are capable, and comes into effect if you lose that capacity. It is possible to create a Power of Attorney that comes into effect immediately, but this isn't really a part of estate planning, and not something that we deal with. The most popular estate planning tool is a Lasting Power of Attorney (sometimes called an Enduring Power of Attorney or a Continuous Power of Attorney). The official term in the UK, is a Lasting Power of Attorney or LPA. There are two types of LPA, one that covers medical decisions, called an LPA for Health and Welfare, and one that covers money and finances, called an LPA for Property and Financial Affairs. Why do you not have an LPA service at LegalWills.co.uk? In order for a Lasting Power of Attorney to be valid, it must be registered with the Office of the Public Guardian. The cost for doing this is currently £82 for each document. There is no way to avoid this fee. It must be paid in order to create a legal LPA. But the Office of the Public Guardian do provide a free tool to prepare the document, that then allows you to submit your document to the Office. There is absolutely nothing that we (or any other service provider) can do to add value to this process. You should not pay anybody to prepare an LPA for you. It is free to use the online tool provided by the Office of the Public Guardian. If any Will writer or online service offers to prepare an LPA for you, for a fee, you are being ripped off. How can I create a Lasting Power of Attorney? You should go to https://www.gov.uk/power-of-attorney. On this website is all of the information that you need to prepare a Lasting Power of Attorney. You can complete the process all online, or alternatively print off the required forms. Do I need to register the document? Yes. Currently the cost of registering an LPA is £82. However, if your income before tax is less than £12,000 a year, you'll only need to pay half - this is known as a "50% remission". There is more information about this at https://www.gov.uk/power-of-attorney. Can I include this information in my Last Will and Testament? No. A Lasting Power of Attorney is in effect while you are alive. It is immediately cancelled the moment you die. Your "attorney" has absolutely no authority once you have died. At the moment of death, your Last Will and Testament comes into effect. After death, the Executor named in your Will takes over the responsibility for your estate finances. A Lasting Power of Attorney and a Last Will and Testament are never in effect at the same time. You cannot combine these two documents into a single document.